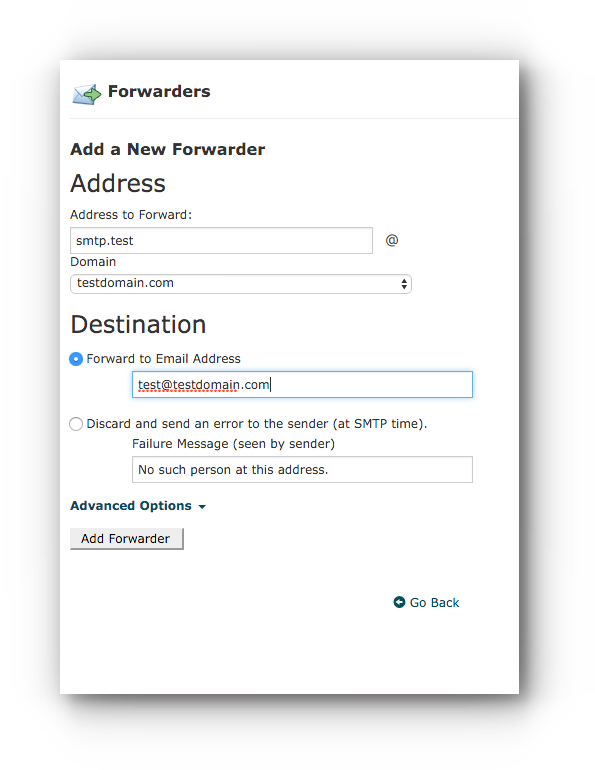 Home/Knowledge Base/Email/How to create an Email Forwarder? 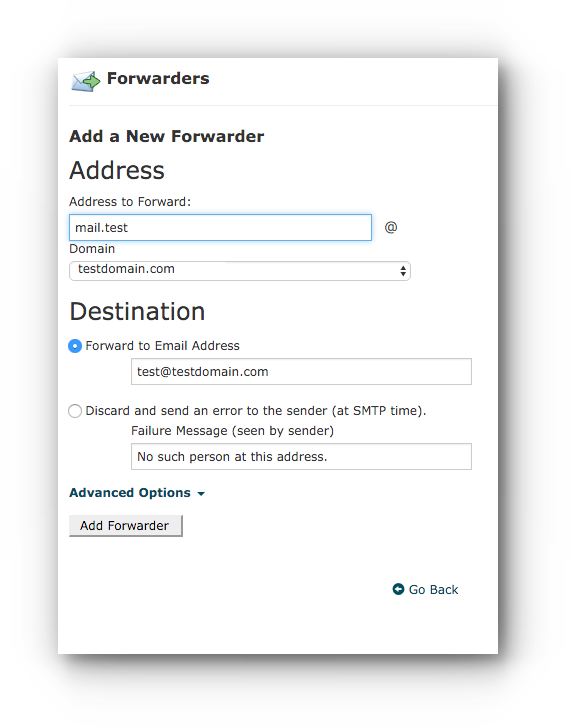 How to create an Email Forwarder? 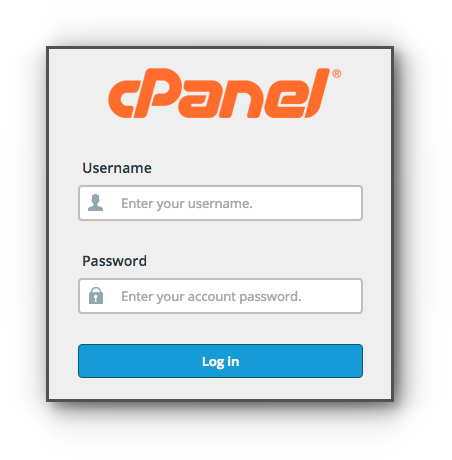 Please follow the instructions below on how to add an email forwarder via cPanel. Step 1. Login to your control panel. Note: Replace “mail.test” with the email address that you want for the forwarding. Step 5. In the Destination field, enter the email address that you want to forward to. Click “Add Forwarder” and you are done! Send an email to the email address you just set up to test so as to make sure it is working, contact us if you have any problem. You may also see Email Archiving and Monitoring Feature. Note: This feature is only offered to Business Web Hosting Plan. Note: “smtp.” is required for our email system to recognize an outgoing mail copy service. Replace “test” with the email address that you want for the forwarding. Step 6. Click “Add” and you are done! Step 7. Send an email from the email account you setup to test so as to make sure it is working, contact us if you have any problem. Note: Replace email address that you want to monitor / archive, and domain with the domain name of your web hosting account. Your completed steps should look like this.